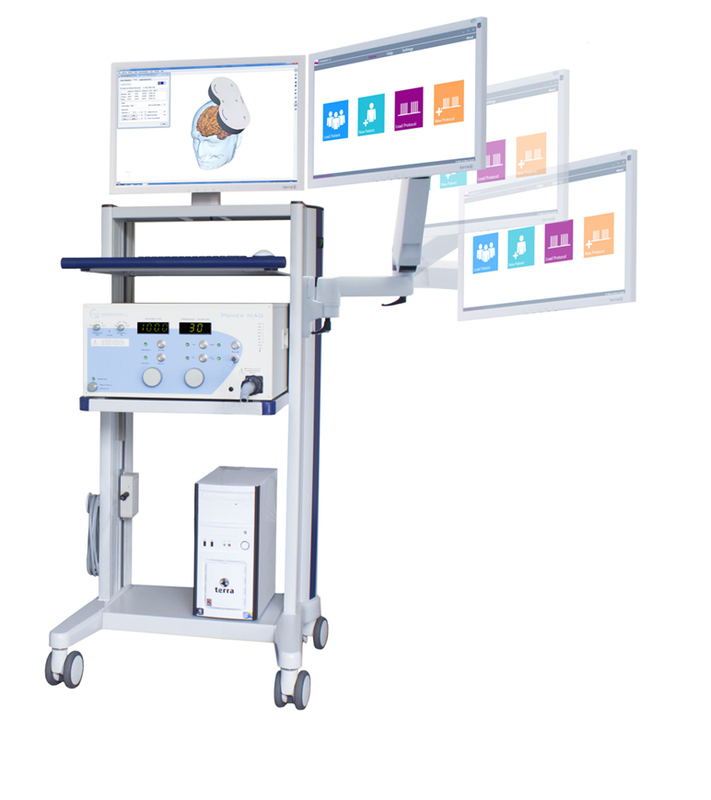 This MR-based navigation system is completely integrated into the TMS device trolley – the camera stand enables optimal alignment with the camera. Coils were developed exclusively for the PowerMAG View!, which incorporate multiple navigation points in their housings. This dramatically simplifies the co-registration of the coil and pushes the precision of the navigated TMS to its peak. A second monitor to display the stimulation software is optional.